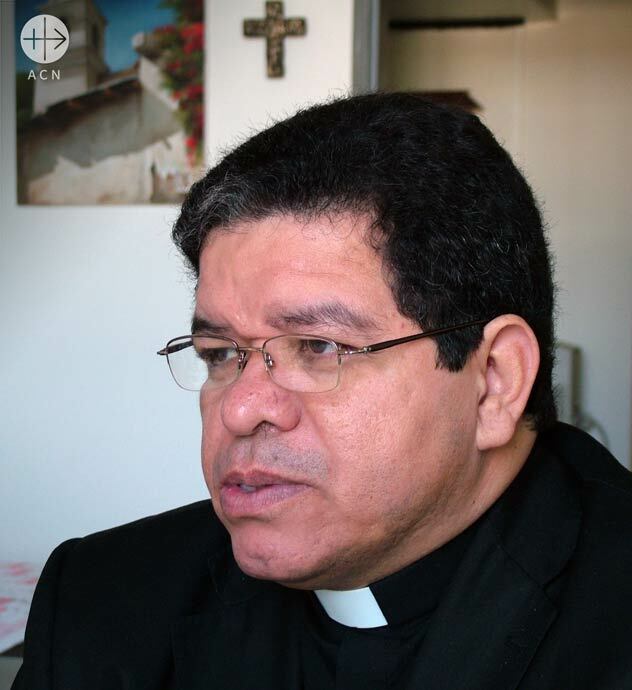 The extremely grave situation for priests in Venezuela continues to be one of the major concerns of the pontifical foundation ACN. Yet another priest has been murdered in Venezuela in the wave of violence that has swept across the country. Father Irailuis García of the parish of Our Lady of Fatima was shot three times by intruders who stole his van in the grounds of his presbytery on Tuesday 9 July. His death was confirmed in a communiqué from the diocese of Barquisimeto, in the northeast of the country, which at the same time appealed for prayers for his soul. Owing to the lack of reliable information, it is difficult to give an exact figure for the number of priests and religious who have been murdered since the outbreak of this terrible wave of violence in Venezuela. In March 2017 the Colombian Foreign Minister expressed his sadness at the murder of Colombian Father Diego Bedoya Castrillón, who was murdered in Aragua, Venezuela, during an attack on the convent of the religious community where he was staying. In 2016 Father Darwin Antonio Zambrano Gámez was murdered in a knife attack in the city of San Cristóbal, in the southeast of the country, during what was presumed to be a robbery while he was engaged in sporting activities. In September 2014 Father Reinaldo Alfonso Herrera Lures, a military chaplain to the Venezuelan Armed Forces, was the victim of a kidnapping and subsequent murder in September 2014. That same year, two Salesian brothers – Brother Luis Heriberto Sánchez, a lay brother and a priest, Father Jesús Erasmo Plaza – died of their wounds at the Don Bosco College in Valencia, Venezuela after being severely beaten during a robbery in the building. Sources close to ACN likewise confirmed that at least three priests have died in the country since the beginning of 2017 for lack of vital medical assistance, while a further 10 have been forced to leave the country, having no other possibility of receiving treatment for their chronic medical conditions, including cancer and diabetes. 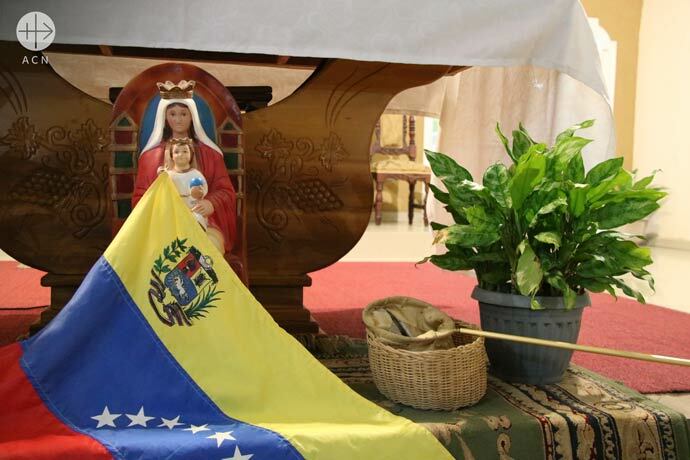 This extremely grave situation faced by priests in Venezuela at the present time continues to be a major cause of concern for the international Catholic pastoral charity and pontifical foundation Aid to the Church in Need (ACN), which has launched aid appeals in a number of different countries. 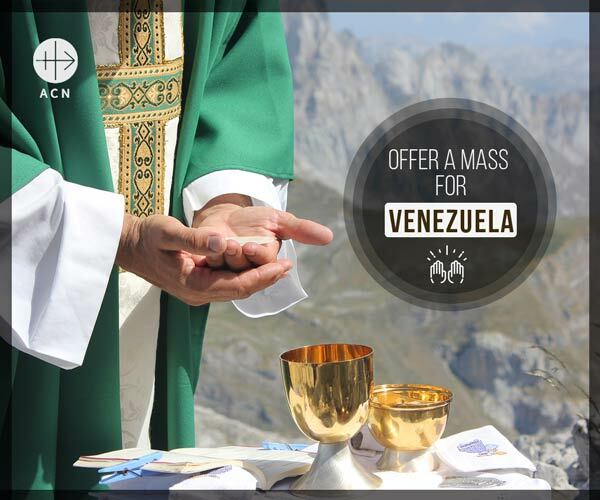 The international Catholic pastoral charity and pontifical foundation Aid to the Church in Need (ACN) calls for an urgent campaign of prayer and support for Venezuela. 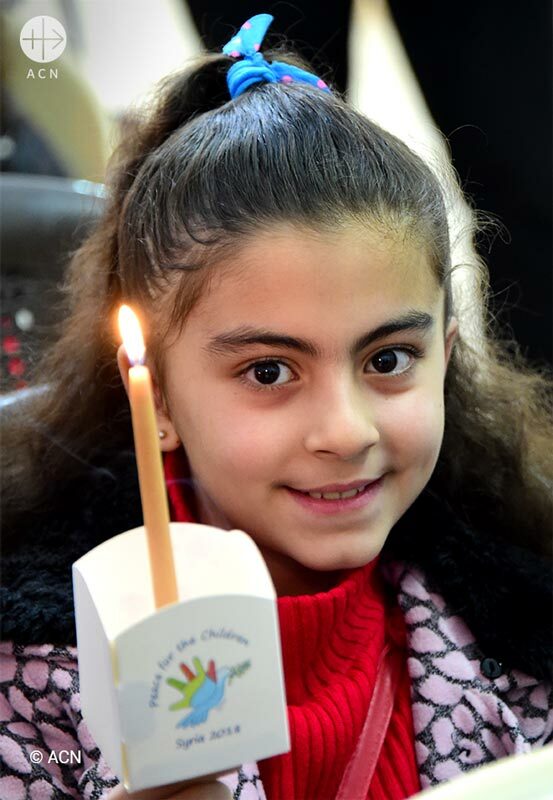 Faced with the tragic situations of conflict in various parts of the world, the Holy Father Pope Francis has called upon faithful Catholics to join in a special day of prayer and fasting for peace, this week on Friday 23 February, Friday of the first week of Lent. The Pope has also invited non-Catholics and non-Christians to join together with this initiative in whatever manner they deem most appropriate. In his appeal, the Holy Father underlined, in particular, his concern for the Democratic Republic of the Congo and for South Sudan. Two African bishops, Bishop Timothy Bodika Mansiyai of Kikwit in the DRC, and Auxiliary Bishop Daniel Adwok of the Archdiocese of Khartoum in Sudan, spoke recently to the international Catholic pastoral charity and pontifical foundation Aid to the Church in Need (ACN) about the crisis their people are suffering. “The Holy Father knows well the tragic situation that both countries are going through”, the Congolese bishop remarked. “The Pope has a great desire to visit both places”, stated Bishop Bodika, “but he was forced to cancel both trips”. But “although he was unable to be physically present in our countries, he nonetheless accompanies us spiritually”. And indeed, the DR Congo is wracked by different conflicts. The struggle for the country’s mineral wealth for more than a decade has sparked a ruthless war in eastern Congo, to which the conflict in the central Kasai region has been added since 2016. And as if this were not bad enough, the country is also afflicted by “the general crisis due to the political tensions in relation to the general elections”. In recent months the situation has further escalated, with peaceful demonstrations violently repressed by government armed forces, resulting in deaths and numerous injuries. Some of these protests were initiated by the Lay Coordination Committee (CLC) of the Archdiocese of Kinshasa and were simply calling for the accords of December 31, 2016 (the so-called Saint Sylvester Accords) to be respected and for the constitutional rotation of offices in the political institutions of the state. “The special day of prayer and fasting is a call for the conversion of hearts, of all our hearts, but also those of our politicians and leaders”, said Bishop Bodika. “They have forgotten that their duty should be to be at the service of the nation, not merely of a handful of people, while the rest of the community remains in poverty.” The people of Congo were “crying out in pain”, said the bishop, yet “It is a cry that the international community is not hearing”. In his own diocese of Kikwit alone the number of uprooted people now in need of care, with food, accommodation, healthcare and schooling, has already reached 30,000. “The diocese of Kikwit does not have the financial means to cope with this humanitarian emergency. And so far our petitions to the authorities and political organizations to help manage this crisis have not met with success”, Bishop Bodika complained. Explaining the situation in the country, Bishop Adwok deplored the fact that “Terror reigns in South Sudan, with warriors, government and politicians grappling for power, positions and not minding the fate of the ordinary Southern Sudanese. The fact that until today no one knows – the government itself does not know – how many people died in South Sudan since the start of the war in December 2013 is indicative of how the value of the human person has become of no worth in South Sudan. In addition to calling for a cessation of hostilities in South Sudan and for the blessing of peace, Bishop Adwok requested that during the day of prayer and fasting on 23 February people should also pray for the refugees and displaced, and especially for the young. “Most of them are jobless and cannot continue with their education, and at the same time they are left alone to fend for themselves and in many cases to take care of their young siblings and relatives as well. 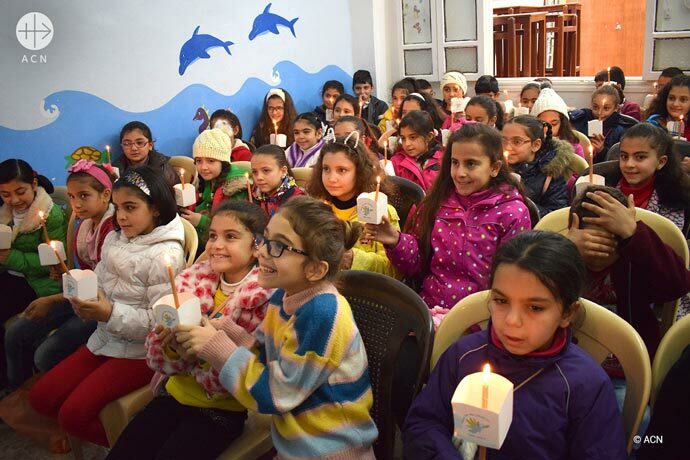 The numerous challenges they face leave them feeling lonely, seeking cheap consolations and in many cases being drawn into groups linked to violence”, he explained. The Holy Father’s appeal to pray for peace is a concrete response to the silent cry of so many victims all over the world. There were a total of 31 wars and armed conflicts during 2017, according to research conducted by the Group for the Investigation into the Causes of War based at the University of Hamburg in Germany. The pontifical foundation Aid to the Church in Need, which supported the African continent in the form of almost 2000 projects and a total of over 24 million Euros during 2017, is inviting all its benefactors and co-workers to join together in the day of prayer and fasting next Friday, 23 February 2018. Hear today the cry of your children, now scattered to the four winds and forced to seek shelter in foreign lands. Hear the prayers of your people on the banks of the Tigris and Euphrates, in the land of Abraham, who since the beginnings of Christianity have not ceased to praise and glorify your Name. Throughout the centuries no day has passed there on which the Holy Sacrifice of the Body and Blood of your Son was not celebrated. Without interruption, the sound of the bells and the singing of their hymns have risen up to you, together with the smoke of the incense that was offered in your Name. Yet now this sacrifice of praise has become for many a Way of the Cross on which for your Name’s sake they have been driven from their homes and robbed of their possessions and their happiness. For the sake of your Name many have even shed their blood. Their sacrifice has become one with the Sacrifice of your Son on Golgotha. The persecutors, with their guns and their their raging violence, seemed to have triumphed; death and mourning seemed to have had the last word. It seemed as though their end had come. Yet today, Lord of history and Shepherd of your people, the hour of liberation has come. Those who desecrated your sanctuary, who destroyed the crosses and sacred images, who persecuted and expelled your faithful, are now gone. Grant your people now the grace of returning to those places where the tree of their life is deeply rooted. Grant that this tree may bear fruits of peace and enable your people to restore the honour of your Name in those places you gave to them and to their ancestors, and preserve this land for future generations also, so that the praise of your Name may never cease in their churches and in their families. We ask you this, O God, lover of mankind, through the intercession of Mary, the Blessed Mother of God, of the martyrs of the Niniveh Plain and of all who have borne witness to you by their blood. Amen.